The Mark10 ES10 and ES20 manual test stands are compact and economical solutions for compression and tensile testing of small samples. Choose between a lever (ES10) for quick-action testing or a hand wheel (ES20) for more precise testing with greater consistency in testing results. 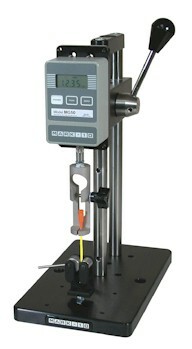 An optional dial indicator kit displays up to 1" of displacement. 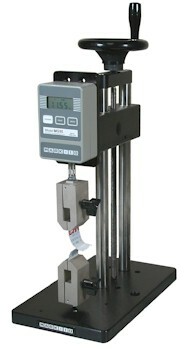 Use these stands with force gauges and grips to create complete and economical testing systems.